Or view larger version. Untitled. 1906. Unknown photographer. Gelatin silver print. Collection of Oakland Museum of California. 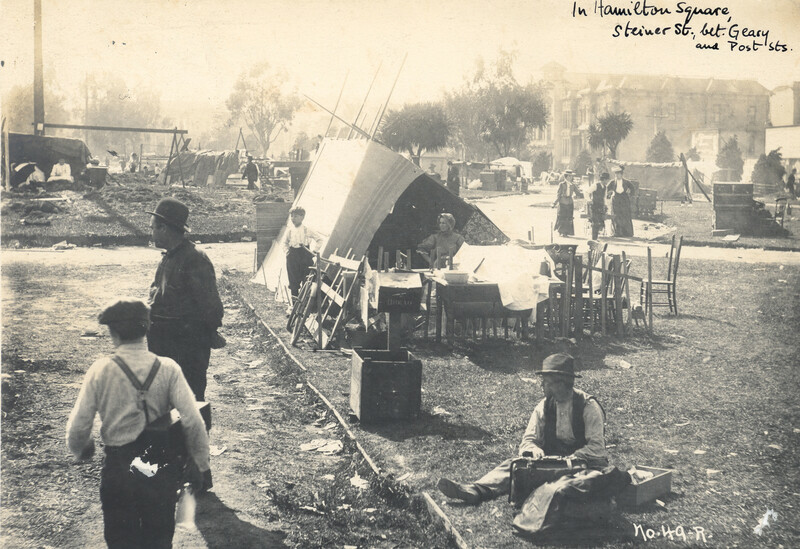 This photograph shows a temporary camp that was formed in Hamilton Square in San Francisco, California. In the aftermath of the earthquake and fire over 250,000 people – more than half of San Francisco's population – became homeless. Refugee camps such, as this one, sprang up around the city.